You are here: Home > Will The Galaxy S III Be The Official Smartphone Of The 2012 Olympics? 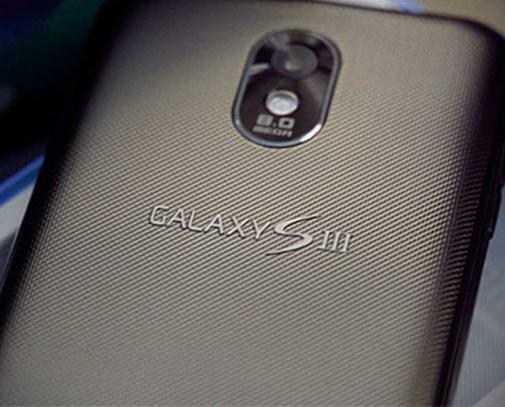 Will The Galaxy S III Be The Official Smartphone Of The 2012 Olympics? As we prepare ourselves for the inevitable crush of news (and rumors) leading up to the Galaxy S III launch event, a new story claims the GSIII will be the official phone of the London 2012 Summer Olympics. BGR reports that an inside source has advised them to expect a “huge” international roll-out for the GSIII as the device debuts as the official smartphone of the 2012 Summer Olympics. The Olympic rumor would explain why Samsung is choosing to hold the event in London, rather than New York, Seoul, Dubai or alternative locations. The source also indicates a 16GB and 32GB model, 1080p HD display, quad-core Exynos processor and 4G LTE. We assume (safely so) that HSPA+ models will also be available, hopefully with the quad-core processor intact. The Galaxy S III is said to come in two color options, one in blue and black, and a second in white. Also rumored is a physical home button in the middle of the device under the display, although the GSIII won’t make use of the on-screen navigation buttons Google introduced in Android 4.0. Take this news for what it’s worth. There is still plenty of time for more rumors to materialize. Im glad they take away the sd card upgrade option, it makes everything so diverse and user friendly like apple. So they can rip you off to the tune of $100 for 16GB of storage?…no thanks (assuming it has no user accessible expansion memory). I’m fairly certain that there’s sarcasm somewhere in there. Nope. The galaxy nexus is a nightmare to mount/use with banshee on Linux. Baaaad Samsung! If they use PTP/MTP they deserve a slap. Ok you’re being sarcastic, but I honestly don’t see the need of having massive storage in cellphones and tablets anymore. Almost everything is cloud-based nowadays, and things that are not are moving to cloud-storage. I mean I use Spotify on my phone, I use Google Docs for almost everything now. I have Google Music as well and Google is about to release Google Drive which is 5GB of free cloud storage. Netflix streams, Play Market streams movies, Kindle, etc….hell, now you don’t even have to save browser bookmark info on your phone because Chrome syncs your bookmarks from your computer to your phone automatically as well as currently open tabs. There is just no need for anything above 8GB imho. One can argue that having the option to expand memory and the like is better than not (that’s been the argument against Apple for so long) but nowadays that’s like arguing that we should have the option of having a floppy disk drive in our modern laptops (that was partly sarcastic, obviously it’s not that extreme) but my point is that having massive amount of storage on any mobile device is becoming a thing of the past and with faster and more reliable data-networks (i.e. free wi-fi is in abundance and 4G LTE is being rolled out around the country, which will eventually move to 5G) streaming is no longer a hassle. you forgot about about carriers go away from unlimited data. LTE is fast. and you can stream HD awesome but say if you have a mid tier plan (5gb). Not everyone is constantly near wifi. Both good points, you’re both right that we’re not quite there yet (at least not everyone gets the reliable service they want/need and many can’t afford to get the highest data plans available). Like i said, this happens fairly often but I know the deadzones in my area and I’m prepared for them. And in actuality it doesn’t bother me too much because 90% of the time I’m getting full HSPA+ connectivity, 3G, and/or Wi-Fi. Again, I see your points though, there is still some need for storage on phones, I just think that need is slowly but surely fading, so not having expandable memory on newer model phones just doesn’t seem like it will be a make-or-break purchase decision for most people. Your idea would be great if carriers actually allowed us to have unlimited data, and we had a reliable 4g connection everywhere we went, and the 4g connection + music player combined wouldn’t chew up my battery. Until then, people will need internal storage. Anonymous has it right. I am on airplanes frequently, and I like the idea of having a couple of movies, and all my songs and ebooks available to me on the plane. The idea of the cloud sounds wonderful, until you are somewhere without access, or you’ve hit your data limit. Then, not so great. 16GB and 32GB models, and a physical home button in the middle under the screen…is that iPhone 5? So u mean to say only Apple makes devices with 16GB/32GB and a home button in the middle under the screen huh??? Will the phone even be released stateside this summer? We might not see this superphone till october, like it was with the s2. Or unless Apple gets it banned. Why exactly do people think we won’t be getting this phone the same way we got the first two generations??? Furthermore, (and although you may not like these devices) the Lumia 710, Radar4G, Sensation 4G, Amaze 4G, MyTouch line, Blaze 4G, and the One S are all T-Mobile exclusives. How big is the screen? Removable battery? What about external storage? Can’t wait to see this go to every other carrier first…….. There is no reason to think other carriers would get it before Tmobile. The reason we had to wait a whole 2 weeks (oh no!) on the GS2 compared to other carriers is cause our version came with different (better) specs. So chill, it’ll come. our version had a slower processor….. Same clock speed in those processors and the benchmarks had the T-mobile version winning. I don’t wanna agree but I have to agree. While I would like to have the Exynos chip in my GS2, I would HATE HAAAATE to have WiMax as my “4G”. I like my 4.5″ GS2 better than I would a 4.3″ one though. If the GS3 has a mandatory 4.6″ screen with no capacitive buttons then I’m down for one phone to rule them all. I can see this or the Note. I’ll be honest – a quad core is plain dumb. A dual.core with a huge battery would be better. hopefully T-mobile will be smart to kill two birds with one stone and insist on their GS3 variant be the size of the Note like when they debuted their 4.5″ version of the GS2. either way it’s the GS3 or The Note for me. Sorry i don’t think it will take that long..my gut feeling is it will be coming to Tmo sooner than u think…probably with HSPA+42. With the absence of the GNex on Tmo…i will hope Tmo will be one of the Carriers to have it on a US launch. It would probably include tmos lte radia in it or Tmobile might launch the lte version of the phone next year like it did with galaxy vibrant and galasy s 4g. T mobile is always slow to make their phones for the changes they have. If the phone comes out worldwide in summer, tmobile would take until October. It’s tradition. Why not wait a little longer and launch its LTE network SGS3’s hand? T mobile will launch the HTC One S and I had read an official document that tmo will relaunch the SGS2 with ICS. I think that’s why the SGS3 arrive at tmobile in early 2013 when it is assumed that its LTE network starting. I’m in need of a new phone very soon because mine is turning off automatically almost everyday unexpectedly and I need to take out the battery and put it back in just to restart it. Right now it’s between getting the ONE-S when it comes out on April 25nd or the Galaxy S-III which is rumored to come out exactly a month later. I’m moving from a 3.7inch T-Mobile G2 to one of these two phones. I think i’ll be fine with a dual-core, especially because I want to keep good battery life. The problem is that a One-S will be more or less obsolete by the holidays (and arguably it’s obsolete the day it comes out since the One-X is more powerful and the Galaxy S-III comes out a month later. I also don’t know if getting a phone that has a screen that’s a whole inch bigger (4.7inch) is smart. I’d wait, the One S while using the S4 Krait from Qualcomm will indeed be fast, the screen’s resolution is still at qHD pentile. The Galaxy S III would have a resolution of 1280×720 making the pixel density higher and overall a better screen. Also why settle for the One S when you know it’s not HTC”s flagship? I personally don’t like either but you are better off with the GS3. I’ve lost faith in HTC. Everyone is different, depending on his or her needs, wants, priorities, perceptions, etc. You have to get what YOU like and which phone fits YOUR needs. HTC has made some of the finest handsets in the world, as many in here are aware. (I have had the G1, Touch Pro2, HD2, and Sensation). But HTC has made phones with flaws, e.g., the Touch Pro2 having Windows Mobile and a USB audio port; the HD2 again coming stock with Window Mobile; the Sensation with way-too-low max speaker volume. Samsung has had its shares of stars (Vibrant) and dogs (Behold). On any phone with user-perceived flaws, for some such have justified his forever swearing off the brand. Others simply accept (correctly, IMO) that no handset is perfect. They move on to a newer phone that meets their needs, regardless of brand or negative experience. I have an SGS II and love the phone. So I will be getting the SGS III and passing down my SGS II to my GF. I am not blindly buying the SGS III on faith, but because I like the specs that fit nicely FOR MY USE. *Apple makes the replacement of the battery so much a hassle and expense people simply buy a new iPhone, either after the warranty runs or the contract is near its end. The iPhone battery takes full economic advantage of the limitations of current battery technology. An iPhone battery is sealed because all batteries start losing full charge / full power capability after 12 months, and/or fail at around the time the user’s 24 month contract expires. – Sealed Storage: That’s my term, what I describe that the HTC One will NOT have a microSD slot. This is also a limitation imposed by Apple on the iPhone. And again, money is the motive for selling phones with yesterday’s technology. (To be sure, five to six years ago phones did not have microSD slots, the storage capacity that came on the phone is what you got. When the iPhone debuted in 2007 Apple showed to the wireless industry that people would pay much more money for a phone to get the model with more memory. Back then Apple had two iPhones available for purchase, the 4GB model, and one with 8GB. Everyone was buying the 8GB unit, few the 4GB. The difference was so dramatic that Apple stopped selling the 4GB model. Where I won’t buy a phone simply on principle, where the manufacturer has intentionally designed into it a sealed battery and storage, others could care less about such. Bottom line: Get what you like, what you need, and what will make you happy for the entire time you keep a phone. With this rumored specs DAMN !!!! I do wish it does go WORLDWIDE with all the carriers. I was just reading on cnet crave that sg3 will not most likely to be called sg3. What there saying is it will be a minor change from the SG2 . If that’s true then HTC one x would be the choice. And again this is all rumors. Poll: Who wants capacitive buttons and who wants on-screen buttons. “Well as I said a month ago and in here about three weeks prior, I believe the SGS III will be debuting in the UK, at the launch of the Summer Olympics. This “intel” was leaked via marketing discussions in South Korea, so I consider the information the most reliable and credible out there. From a marketing sense, I can’t imagine a more spectacular event to tie-in the launch of a new product. And for that reason, I don’t see Samsung “ruining” the Olympic launch with a release elsewhere. “In addition to my best guess that Samsung will launch the SGS III in the UK at the Summer Olympics, maybe there’s some other evidence to figure out when it will launch, and maybe even come to T-Mobile. For one thing, this well could be T-Mobile’s summer launch, which is usually in June or July. So that fits squarely with Samsung’s Olympic debut. Additionally, we should look at what some of T-Mobile’s competitors are doing. Sprint is getting the Galaxy Nexus in mid April, the Blaze addresses that. It is too soon for the SGS III to launch. More telling, Sprint is supposed to get the HTC Jet (Sprint’s version of the HTC One X) around June 10-15. The One X is HTC’s answer to the SGS III and iPhone 5. So I can see Samsung launching around June-July to trump the One X.
Apple should be launching the iPhone 5 in June. All Apple competitors try to respond to Apple, so the SGS III, especially since it has the more popular phone OS, Android, I can see Samsung wanting to slap Apple around during the iPhone 5 launch. That’s just some of the action, so that’s my best guess, a June-July release date for the SGS III. I read in an article from cnet UK that sg3 will be just an upgrade from sg2…minor changes. If it is true then that’s very disappointing. Powerhouse phone of this year and I can’t wait. how about a better battery? i could careless about anything else to be honest.